Aleksander, 23, who was on loan to Fulham last season, has signed a five-year deal with the club until 2023. 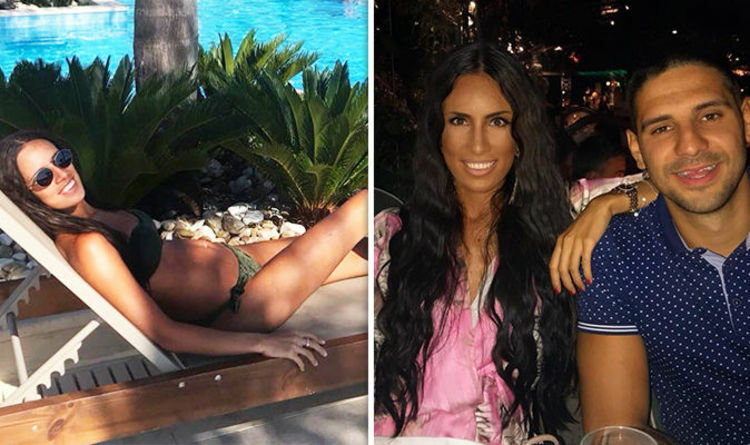 The footballer will be supported at the club by his girlfriend Kristina, who recently shared a jaw-dropping picture to her Instagram account. On their latest holiday away together, the brunette put her toned physique on full display. Relaxing on a sun lounger, the brunette showcased her sensational figure in a mis-matched bikini. Kristina’s taut stomach was for all to see, as well as her toned pins which she elongated. Turning towards the camera, the stunner flashed a huge smile as she soaked up the sun. Kristina kept a pair of sunglasses on for the snap, which was taken beside a swimming pool. Aleksandar also shared a snap to his Instagram of the two of them enjoying their getaway. In the picture, the couple looked at ease as they posed at a dinner table, grinning ear-to-ear. The footballer captioned the sweet shot: “My love,” alongside a love heart emoji. The couple will now be looking for a permanent home in Fulham after Aleksandar’s deal with the team was confirmed. The star, who shares two children with his partner, admitted he was very “happy and proud” to have signed for the club. Speaking at Motspur Park after signing his new contract, Mitrovic told fulhamfctv: “I’m very glad and happy and proud to finally be here and officially become a Fulham player. I’m happy to the moon and back. Aleksander scored 12 goals in 17 games on loan at Fulham last season, which helped the Cottagers secure a return to the Premier League. He continued: “This is a big club and last year we made history, we did big things, and I want to continue this. Aleksander was a stand out star for the Serbian squad during the World Cup 2018 in Russia. The player was supported by his girlfriend whilst he was away, as she shared a snap of him celebrating after one of his goals. She added a huge heart emoji alongside it, as she showed her love for her boyfriend. Three Big Shakeups in Vogue’s Highest Echelon No Plane. No Remains. And Now, No Real Answers on Malaysia Airlines Flight 370.